Managing conflict starts with you. So, too does effective collaboration! Increasing self-awareness, and how you respond to conflict, is a proven path to higher quality interactions and interpersonal relationships, improves team performance, and cost-effective conflict management. 1:1 coaching support is a strategic way to develop self-awareness. One coaching tool I strongly believe in (and use with my clients) is the Conflict Dynamics Profile ® (CDP) assessment instrument. It focuses on understanding and changing personal behaviours. It moves beyond other ‘styles-based’ assessment tools. Every individual who completes the CDP is provided a report, and 40-page Development Guide, that helps them become more aware of their conflict behaviours. 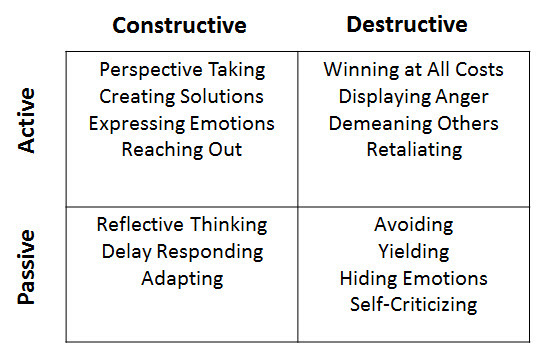 We choose our responses to conflict. 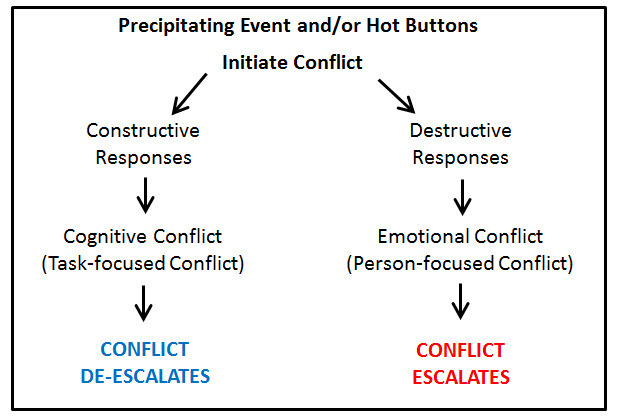 Depending on our choices, conflict tends to either deescalate (good) or escalate (bad). The CDP is typically administered online. The CDP costs $35 US (+ Guide shipping cost), per person. 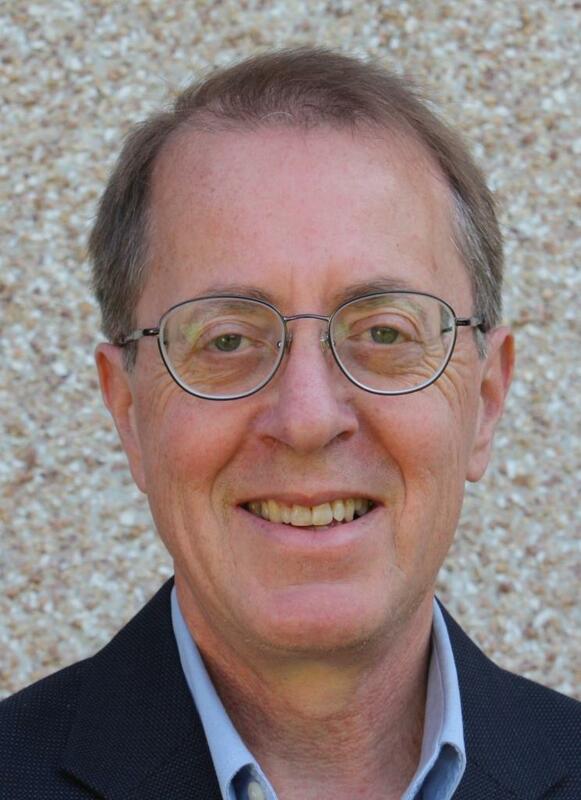 I assist each person who completes a CDP with interpreting their scores, and developing their own personal conflict management action plan. Alternatively, the CDP can be completed by each member of a team, and the constructive-destructive behaviours, associated with the CDP, explored in a (psychologically safe) team workshop. The CDP is an industry-leading tool; one that helps individuals in conflict gain awareness of their conflict behaviours, and the impact of those behaviours on the people they work with. Conflict competency, combined with emotional intelligence, is a dynamic duo (especially for leaders).